2. 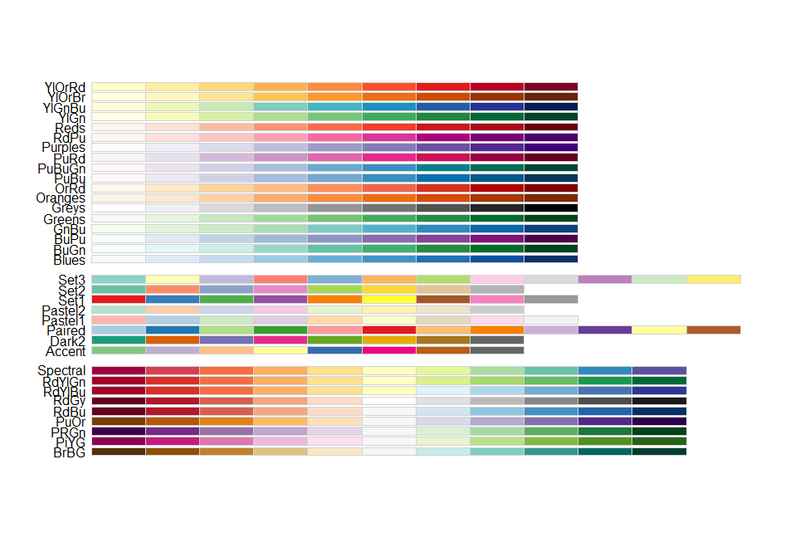 In R, A package called, “RColorBrewer”, can help you find a set of colors that matches the theme of your graph. 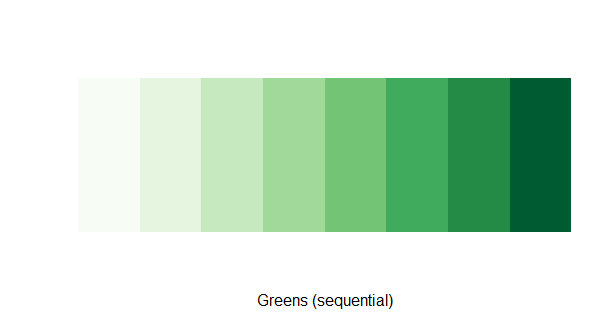 It also has 3 types of palettes, sequential, diverging, and qualitative. 3) You can select one of the palettes above and view the palette in a graphics window. 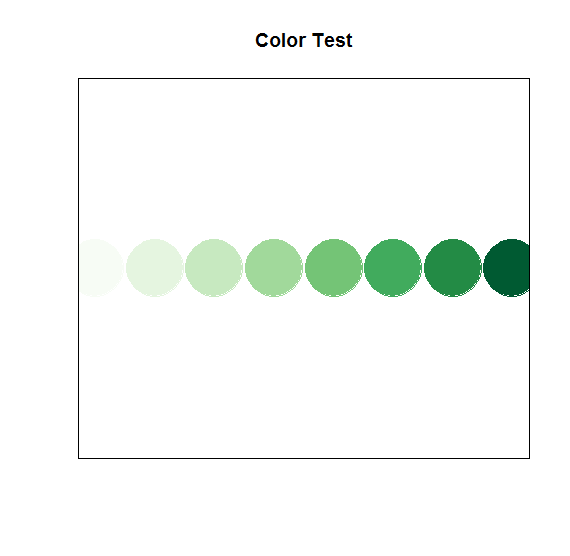 display.brewer.pal(n=8, name=”Greens”) # a maximum of n depends on palette. 4) If you are satisfied with these colors, you can get their names which can be used in graphing in R.
I hope this post help you improve your figure with a better color choice!